While we wait for more two-year-old racing to start, Brisnet.com pedigree handicapper and blogger Doug Salvatore will profile each of the expected Kentucky Derby starters in terms of classic breeding and current form/speed. This final installment of three looks at the top contenders ranked in the bottom third of the prospective field by points on the TwinSpires.com Kentucky Derby Championship Series. For FREE Ultimate Past Performances with comments of probable Derby entrants ranked by points, CLICK HERE. For the same type of file for Kentucky Oaks fillies, CLICK HERE. 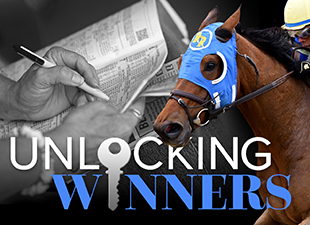 For the first installment of Doug’s profiles (horses ranked 1-7), CLICK HERE, for the second, CLICK HERE. Form: This Mike Maker-trained colt kicked off a good winter campaign with a win in the Gulfstream Derby over Wildcat Red before a second-place finish in the Fountain of Youth and a third-place finish in the Florida Derby. He’s an honest sort who has never been worse than third and has demonstrated tactical versatility. Pedigree: Sired by the precocious Roman Ruler, he usually gets sprinter/miler types. General a Rod is out of a Dynaformer mare who competed entirely in turf and synthetic races. Second dam Buckeye Search was by speed influence Meadowlake, and she was a good honest racer who competed in some top level races, including a fourth place finish in the Test stakes. Speed: General a Rod owns a career best Brisnet.com Speed Rating of 100, which he ran in the Fountain of Youth. Red Flags: He's a horse with good tactical speed who always gives a good account of himself. However, he would need a breakthrough performance to contend. This isn't an easy horse to knock, but he certainly will need to work out a good trip and take a big step forward just to contend. Form: His turf and synthetic form is excellent. Medal Count made his three-year-old debut a winning one by rallying into the teeth of a -26 second call pace, to impressively take a turf allowance event at Gulfstream. In a span of eight days, he ran two good races over the Polytrack at Keeneland, culminating with a second place finish in the Blue Grass. However, his dirt form is mediocre. He won a Maiden event at Ellis Park, over a bad field, that was originally scheduled for the turf. The second place finisher finally broke his maiden for a claiming tag after numerous defeats. Medal Count was nowhere to be found in the Breeders' Cup Juvenile, after being inexplicably close to a fast early pace. In the Fountain of Youth, Medal Count enjoyed a perfect trip and was still crushed by almost 10 lengths. Closer Top Billing went by him with total ease, and he could not even fend off the plodder East Hall for fourth. East Hall is winless in five starts this year, and returned to finish eight beaten a dozen lengths when unable to rally in the Tampa Derby next out. Pedigree: By a son of excellent stamina influence Dynaformer. Medal Count's Dam was a nice confirmed sprinter trained by Richard Mandella. Medal Count is a half sister to Garden District, a Pletcher-trained filly who broke her maiden going just 4.5 furlongs at Keeneland, and captured the six-furlong Churchill Downs Debutante stakes over the great Rachel Alexandra. Speed: Medal Count ran a career-best Brisnet.com Speed Rating of 97 in the Blue Grass. Red Flags: His dirt form is atrocious. All indications are that he's training well at Churchill Downs, but it's very hard to ignore the fact that's he struggled badly on dirt in prior races. This isn't an Animal Kingdom type case, where a horse is training well at Churchill, and has never competed on dirt before. Form: Was beaten by California Chrome with devastating ease in the Santa Anita Derby last time out. He scored a determined win in the Grade 2 Bob Lewis two starts back. His two-year-old season culminated with a distant second place finish in the Cash Call Futurity behind Shared Belief, after making a gigantic premature move. Pedigree: Sire Candy Ride was a freakishly talented South American import. He was very successful in America for Ron McAnally. He demolished the field in the Pacific Classic at ten furlongs on dirt in what would be the final start of his career. However, his offspring tend to handle synthetic surfaces a bit better than dirt. Candy Boy's dam She's An Eleven won both of her races in two-turn dirt events. She was an even money favorite in the Grade 2 Black Eyed Susan, but was well beaten. Speed: His career best Brisnet.com Speed Rating is only a 97. Red Flags: His ability. He's never run very fast figures. He was bet to 5/2 odds and blown off the track in the Santa Anita by California Chrome. The reported plan to change his tactics and the expected hot pace could improve him, but he's got a long way to go. Form: Was outgamed by Saamrat in both the Withers and Gotham. Last time out, he blew the break in the Wood Memorial and was never able to recover after the poor start forced him to attempt to change tactics. Pedigree: Sire Indian Charlie was a brilliant colt who suffered his only career defeat was third in the Kentucky Derby as the favorite. He gets pigeonholed as a sprinter/miler sire, but he does get good routers when bred to mares with distance pedigrees. There is a lot of endurance through the female family of Uncle Sigh. His unraced dam is by Pine Bluff out of an A. P. Indy mare, they were the third place finisher and winner of the 1992 Belmont Stakes, respectively. Uncle Sigh is a half to Percussion, he finished second in the Grade 2 Brooklyn at 12 furlongs. Speed: Uncle Sigh owns a career top Brisnet.com Speed Rating of 99. Red Flags: Is 0-for-3 head-to-head against Saamrat and he was unable to make any impression in the Wood Memorial after a poor break forced him to change tactics. Form: Stopped in the Blue Grass Stakes last time out, when finishing dead last while beaten 28 lengths. He was a soundly beaten second by Ring Weekend in the Tampa Derby two back. His lone stakes win coming when he won the Sam Davis by a nose. Pedigree: Sired by hot young sire Pioneerof the Nile. His dam Kettle's Sister was a very mediocre racer. This horse comes from the tail female family of the great sprinter Safely Kept. Speed: Vinceremos owns a career top Brisnet.com Speed Rating of just 93. Red Flags: His ability. He's one of the slowest horses in the race on figures. It's hard to imagine he will be competitive unless he is somehow able to make a magical form reversal. Form: Like Vinceremos before him, he was also defeated by 28 lengths in the Blue Grass. Two starts back, he was a game second beaten just a nose by We Miss Artie in the Spiral. Solitary Ranger beat him by almost ten lengths in a minor stakes race at Turfway three starts back. Pedigree: Sired by Harlan's Holiday. The dam of Harry's Holiday is an Orientate sired, unraced half sister to Beholder and Into Mischief. Speed: Harry's Holiday owns a career best Brisnet.com Speed Rating of 95. That figure came sprinting on the Polytrack at Turfway. Red Flags: His ability. He's another one that would need a dramatic form reversal just to be competitive. Form: A maiden winner at Churchill Downs to end his two-year-old season, Commanding Curve made his three-year-old debut in a tough edition of the Risen Star Stakes and ran evenly. In his most recent start, Commanding Curve finished third in the Louisiana Derby, but he benefited from a pace that was +10 at the second call. Trainer Dallas Stewart has had great success in the big races at Churchill Downs with these plodding type of horses. Indeed, the Stewart trained Lemons Forever captured the 2006 Kentucky Oaks in last-to-first fashion as by far the longest shot in the field at 47/1 odds. In last years Kentucky Derby, the hapless plodder Golden Soul slugged home to finish second at 34/1 odds. Pedigree: Commanding Curve is sired by a Pletcher trained horse named Master Command. A son of A. P. Indy, Master Command was a stone-cold dirt router who did his best work at nine furlongs. The dam of Commanding Curve was a speedball sprinter trained by Bob Baffert. She never won past six furlongs. This pedigree is stamina on top, and speed on the bottom. Speed: Commanding Curve ran a career top 98 Speed figure last time out. Red Flags: I suppose it's not easy to knock any longshot who is a Dallas Stewart trained plodder, and will be making his third start off the layoff in the Derby. However, other horses with his running style offer far more appeal.